The Japanese underworld is planning to branch out and provide bodyguards and security personnel for legitimate businesses in Southeast Asia, Japan's Flash Magazine reported citing the leader of a yakuza group. “Since we cannot enter the US, we will establish a branch office in Southeast Asia and establish a contract with that office separately. Upon receiving a request for bodyguard or security services for Japanese nationals, we will be dispatched,” said Oda. The gang was formed in April by a group of defectors from the Kobe Yamaguchi-gumi, a spinoff of Japan’s major crime syndicate Yamaguchi-gumi. Japanese companies and organizations doing business in some parts of Southeast Asia have been concerned about the safety of their staff. Last year seven members of the Japan International Cooperation Agency were killed in an attack by Islamic militants on a restaurant in Bangladesh. Ten Japanese engineers were among more than 40 people killed when an Al-Qaeda-linked group seized a natural gas plant in Algeria in 2013. According to Jake Adelstein, a crime journalist, and expert on Japan’s underworld, the members of the Ninkyo Dantai Yamaguchi-gumi seem to be preparing for their new business venture. “The police arrested a number of the group last week with a consignment of pistols, which suggests they may have been a little overzealous in their groundwork,” he told the South China Morning Post. “Clearly the group is also looking for a business that none of the other groups are doing because they are being squeezed in Japan so tightly by the police thanks to all the new laws designed to do just that,” said Adelstein. Japan's police have been cracking down on members of the yakuza factions whose criminal activities include fraud, racketeering, gambling and prostitution, drugs, and weapons sales. Yakuza, also known as gokudo, are members of organized crime syndicates originating in Japan. 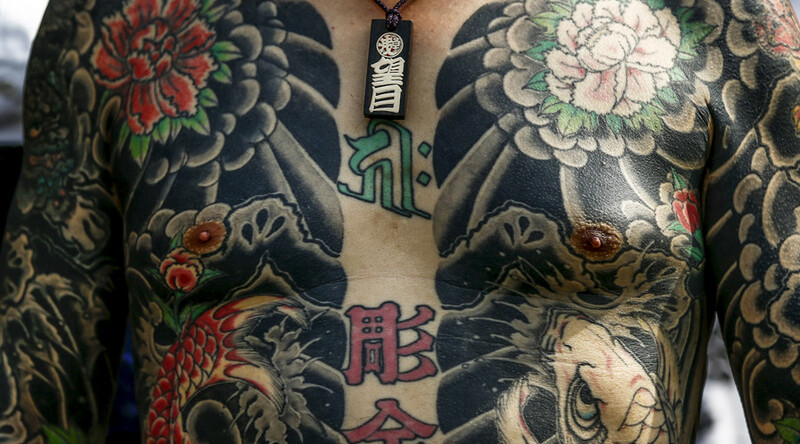 Members of yakuza gangs traditionally cut their family ties and transfer their loyalty to the gang boss. At the moment, there are thought to be more than 58,000 active yakuza members in Japan which together form the largest organized crime group in the world.